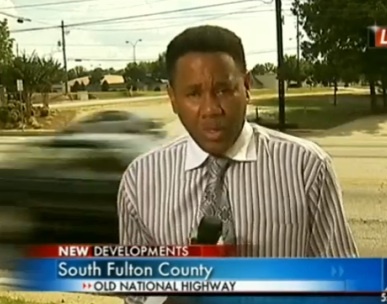 At 6:02pm Friday, I found myself responsible for an on-air gaffe that had understandably outraged some viewers of WXIA-TV. It was an embarrassing conclusion to a day that had been rough from the get-go. The story was about the arrest of Creflo Dollar, pastor of the World Changers megachurch. 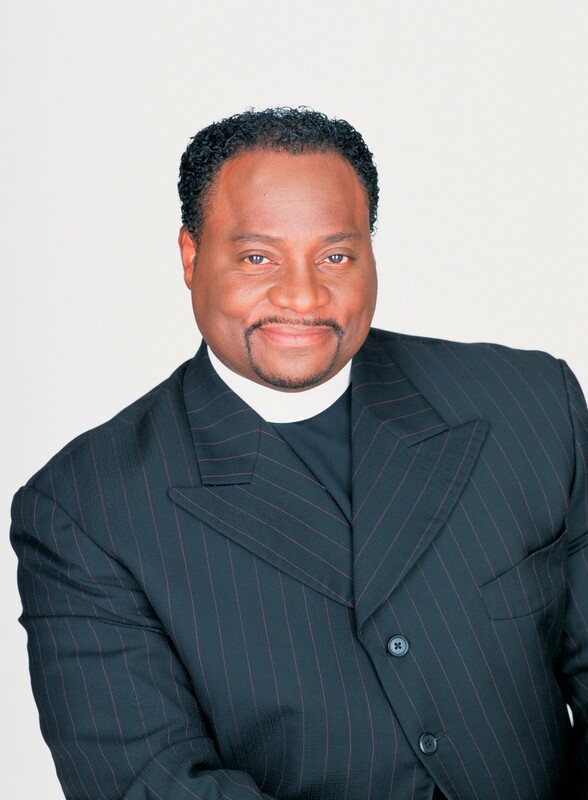 The gaffe was that my story showed an image of Bishop Eddie Long when identifying Dollar at the top of the piece. My mistake was failing to view the piece, which was edited by an experienced and trusted coworker, before it aired. One cannot overstate the seriousness of the gaffe. Both pastors, Dollar and Long, are prominent African American megachurch preachers in metro Atlanta. Long was in the news for months for allegedly having intimate relations with young men at his church. Long was never arrested, but the scandal rocked his church. Dollar was arrested for a one-time domestic violence incident at his home, concluding a confrontation with his teenage daughter. Transposing their images was unintentional yet unforgivable. It feeds into longstanding racial distrust, and notions that white folks have trouble distinguishing black folks from one another. At 11 am or so Friday, WSB-TV tweeted that Dollar had been arrested on the family violence charge. Tom Jones broke the story. I’ve become an admirer of Jones’ work over the last decade or so. He’s been rattling cages in Clayton and Fayette Counties on a daily basis for years, and I’m not surprised he learned of Dollar’s arrest before anybody else. Jones works out of a live truck every day in an unglamorous but news-packed Atlanta suburb, and breaks stories in WSB’s A-block regularly. Jones and a photographer were there when Dollar exited the Fayette County jail. The raw video shows Jones respectfully but persistently questioning a mostly silent Dollar as he walked from the jail entrance to a waiting Mercedes. It was, to use an insider phrase when referring to competitive newsgathering, “a nice lick.” Nobody else had it. About ten years ago, I remember attending an Emmy awards ceremony. 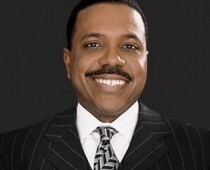 I recall hearing a half-dozen or so Emmy winners thanking God and Pastor Creflo Dollar during their acceptance speeches. Dollar has his share of admirers in the news media. Following the WSB tweet, a coworker and I headed toward Fayette County. “Would you know Creflo Dollar if he walked past you?” I asked him. We both agreed neither of us would recognize him. Later that day, I went to the World Changers web site and pulled some images of Dollar. We had also pulled some file video of a story about a federal investigation into megachurches. That video included combined images of Dollar and Bishop Long. I’m pretty sure that piece of file video was the source of our mistake. Her voice had a tone of disappointment and disbelief, and I was stunned. When I appeared again at the end of the piece, I said something like “the image at the top of the piece should have been an image of Pastor Dollar.” I acknowledged the error but probably should have expressed regret for it. It certainly would have been genuine. It was a humbling day from the start, and I’d only made it worse. It was my responsibility to ensure the accuracy of the story before it aired. The error was offensive, and I’m very sorry I made it. This entry was posted in WSB, WXIA on June 11, 2012 by live apt fire. OK, so you made a mistake…you acknowledged it (maybe an “I’m sorry for the mixup” also would have been appropriate)…so move one….no need to dwell on it. You shouldn’t feel any worse over this than if you had been doing a story on a white guy and put the wrong pic up. A reporter NEVER wants to get facts wrong, it kills credibility that is not easily regained. Your work and dedication are tremendous and in an industry where we tend to rush to sweep mistakes under the rug, you are to be admired for openly discussing it. You, Doug, are a hell of a reporter with an awesome code of ethics. Keep up the great work. Mistakes happen. This was certainly not your fault, but that of someone back at the station. While It was your story and you take the heat from it, you shouldn’t take it personally. You and your station are my choice for news and this has done nothing to change that and I am sure that thousands of viewers will agree. You have stated what really happened and that is the end of it. One mistake will not change peoples opinions especially with your years of dedicated reporting. Keep up the good work and put this behind you. Respect for your open acknowledgement and apology. Sir, you honor your profession like few do. Not only are you a gentleman, apologizing and owning a mistake that occurred on your watch, but most importantly, you show people, and especially young people, that the “blame game” isn’t cool. Thank you. What a gentleman you are. And a true man. A sad mistake but not exactly the end of the world, and you are still, in my book, the great reporter that you have always been. Kudos to you for not only apologizing and owing the mistake, but showing young people that “blame” is not a game that should be played!